What do you think is the biggest misunderstanding about appetite? So many people see hunger as a purely bad thing, something to be avoided – but connecting to what hunger feels like is so vital to a healthy body and mindset. Appetite Retraining has many health benefits, but I think the most amazing discovery is to rediscover what it is to experience mild, gentle hunger before each meal. The knockout thing about that is that is the time when your taste buds are at their most sensitive, and so all food tastes fantastic – far better than the same food when you are not hungry. It’s all part of the body’s natural regulation of hunger. There’s a reason that the second half of the meal is always less tasty than the first. Appetite Retraining isn’t about ‘forbidding’ food, or restrictively counting calories, or forcing yourself to eat in a certain way. It’s taking it back to yourself: what your habits are, what mistakes you’re making in the way that you understand hunger and appetite, and then developing new healthier and happier eating habits until your body is ‘trained’ back to the way that our bodies are naturally designed, the natural rhythms. It’s finding a way to be joyful about food. It’s why I developed the Appetite Pendulum: as I worked on helping people to understand and tune in to their natural hunger and fullness signals, I realised that the best way to think of hunger and fullness is as a pendulum with a neutral point in the middle with increasing numbers each side towards extremely hungry (down to -5) and uncomfortably full (up to +5). Appetite Retraining takes us back to eating like we did when we were infants: eat when hungry, and stop when you have enough. Stop at +3 (just full), and wait until you’re -3, when you’re definitely hungry to have food. What prompted you to start examining this so closely? What I realised in that moment was that thanks to my training and experience, I knew how to help her overcome a serious eating disorder, but absurdly I had no idea how to help her simply lose a stone in weight. Not least because I myself was at the time a stone and a half heavier than I’d have liked and my (albeit half-hearted) attempts to lose the weight hadn’t got very far. I figured that given that I have 3 degrees in Psychology, including a PhD from Oxford in the Psychology of eating disorders, and I was a qualified Clinical Psychologist with 22 years’ experience of helping people change unhelpful emotional and behavioural patterns, if I couldn’t work out how to help people to change their patterns of thinking, feeling, doing around food, then who could?! Of course, lifelong habits are hard to change. But approaching change one manageable step at a time makes this possible, unlike diets which require you to overhaul your eating habits overnight (which from a psychological point of view are pretty-much doomed). The difference with retraining your appetite so that you relate to food and your own appetite differently is that there is no ‘ diet’ that you have to come off. With new more helpful eating habits, you have a new and refreshed way of fuelling and nourishing your body, and in fact, your whole being. What’s an unusual consequence of having a more purposeful approach to appetite that you wished more people knew about? The first thing is that everything you eat tastes better, the basic raw pleasure of eating increases because when you wait to eat until you’re definitely hungry, your taste buds are at their most sensitive. What’s really surprising is that you not only learn to sense when your body is hungry, but also what it is hungry for – and many people are shocked to find that they start to crave healthy things when they listen to what their gut is telling them about what they actually fancy eating. The second thing is that your relationship with food is a microcosm or reflection of your relationship with the world. Our relationship with food is a focus and vehicle for the (unintentional) expression of our personal emotional wellbeing and habits. You start to learn so much more about yourself when you connect with your body around the food and eating. Why do you think that an Integrative Medicine model that brings conventional, lifestyle and holistic approaches is important for people? I think bringing different approaches to any particular person or health issue brings different benefits. It’s important to remember that nothing works for everybody, including Appetite Retraining! The complexity of our human body and brain and the universe we live in are so phenomenally complex, we know very little for sure. I used to be very straight-down-the-line as a conventional Clinical Psychologist, but I myself have had to eat a lot of humble pie over the last 15 years, since being introduced to therapies which come from different traditions other than experimental psychology. Those that are powerful but gentle, such as Energy Psychology, have had a particularly positive influence on my own life and clinical practice. 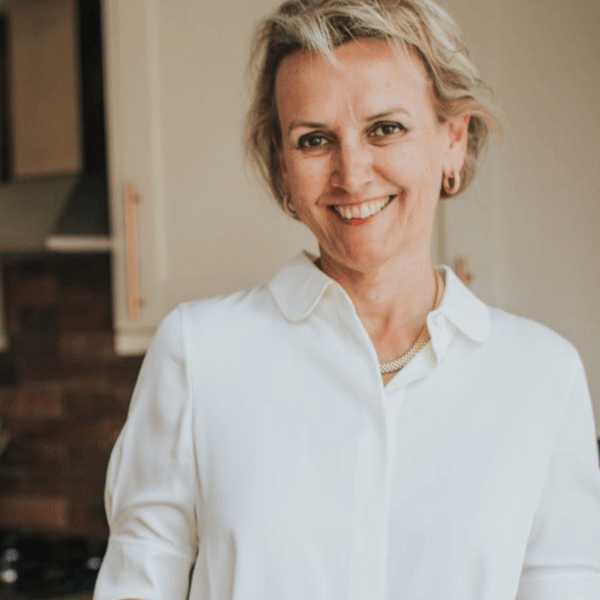 This work I do never ceases to amaze me with how much joy people can experience when they discover that they can change their own relationship with food even after decades, and the way their confidence and self-esteem blossoms. The other thing is for everyone to appreciate that when you try to change something as fundamental as the eating habits of a lifetime, it’s normal to come across internal resistance or self-sabotage. In Appetite Retraining I’ve identified 4 main types of “saboteurs”: lack of willpower, lack of motivation, lack of self-belief, and pressure from others around eating. And an integral part of retraining your appetite is to recognise which saboteurs are likely to crop up for you, and to know what to do to overcome them, which is all covered in my book “How to Retrain Your Appetite”. Here at the NCIM, we are passionate about positive relationships with food, and holistically caring for the body, mind, and soul. If you’d like to talk with one of our Holistic Doctors or find out more about our Food for Wellbeing courses, please get in touch! If you’d like to read Dr Helen McCarthy’s book, then click here.